Hollywood's long-standing love affair with antiquity is in full bloom, with recent and forthcoming movies celebrating the exploits of ancient heroes or glamorizing the adventures of fictional archaeologists. Spring gave us Troy with Brad Pitt as Achilles, and over the next couple of years we can expect a flood of "sword and sandal" epics centered around real or imaginary characters, including Alexander, Maximus the gladiator, Hannibal, and Gilgamesh. There's also a fourth Indiana Jones movie in the works. The epics will give us Hollywood's current take on antiquity and are in the same tradition as such classics as Spartacus, Cleopatra, and Ben-Hur, which featured favorite stars of the 1950s and 1960s such as Kirk Douglas, Liz Taylor, and Charlton Heston. The second tradition--films depicting archaeologists at work in glamorous, dangerous, or mysterious conditions--extends back as far as a lost silent film from 1912 called The Vengeance of Egypt. In these the archaeologist is either a stuffy or absent-minded professor, often with a beautiful daughter (possibly a reincarnated princess), or a swashbuckling adventurer like Indy. All of these films appeal to the popular imagination and help to bring the past vividly and visually alive. (In the 1932 classic The Mummy and its 1999 remake, the past literally comes alive!) But few, if any, of these movies give us a true picture of the past--or of archaeology. Some directors or set designers strive to get the settings, costumes, and other details right, such as the digital re-creation of the Colosseum in Gladiator. Too often, however, we are treated to anachronistic howlers. In the 1963 film Cleopatra, for example, Julius Caesar's triumphal procession into Rome in the late first century B.C. marches past the fourth-century A.D. Arch of Constantine! No one expects Hollywood movies to be documentaries--they are, after all, popular entertainments--although claims are sometimes made for their faithfulness to the past. 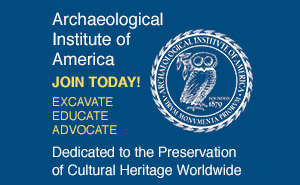 Those curious about the accuracy of archaeological detail in some of the current films and wanting to know more about the historical and archaeological contexts of the stories should consult the Archaeological Institute of America website, where scholarly commentaries on many of these films will be posted as they debut. The first of these, on The Passion of the Christ and Troy, are already available. 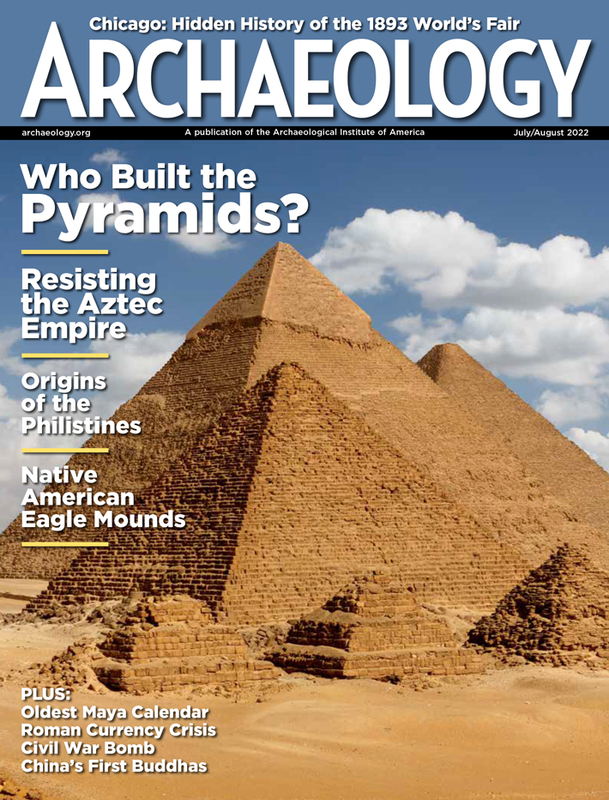 Complementary coverage has appeared in ARCHAEOLOGY ("Was There a Trojan War?," May/June) and more is planned to coincide with the release of Alexander the Great in the fall. These articles, along with reviews of these movies and other television and Hollywood productions, will also appear on the ARCHAEOLOGY website. Stay tuned!